In early March 1868, because she was destitute, Mary Ann WHITE petitioned the Colonial Secretary to have her four illegitimate children admitted to the Randwick Asylum from Goulburn. Her petition was supported by the local Church of England minister, W. SOWERBY. Because they were illegitimate, this request was rejected by 'certain gentlemen of the House Committee, constituting a majority, labouring under the misapprehension that such a rule (or at least a Bye Law to that effect) was in existence.' In May, Mary Ann again petitioned for their admission to Randwick and this time she was informed that if she sent her children's ages and religions to Randwick, they would be admitted. No admissions to Randwick for any of her children occurred as a telegram from the Chief Clerk of the Colonial Secretary's Office specified that 'another solution' was available and should be implemented.8 This solution was an admission to the Newcastle Industrial School. On Monday, 20 July 1868,9 Mary Ann's three older children, Isabella, Mary and George, were brought up for protection and appeared at the Goulburn Police Court. It was reported in the newspapers that their mother was unable to provide for them10 so they had been sent to beg in the streets.11 Isabella and her younger sister, Mary, were sent to Newcastle, and their brother, George, was sent onto the Vernon. George was received on board on 2 July 1868, and Mary and Isabella appeared in the Entrance Book for Newcastle on 18 July 1868. It is believed likely that the sisters were admitted earlier than this date and that the entry in the register was made later but this is speculation and is based only on George's admission date. The Goulburn newspapers do not provide any further information about the family but because there seemed to have been nothing scandalous about their arrest, there was almost certainly no need for further reporting and no further newspaper articles have yet been located that can be connected to the family. Identifying Mary Ann is a laborious process that would not have been possible without the assistance of and extensive research of her descendants. The process of making a clearer identification is ongoing. Because Mary Ann's petitions were completed and signed by her using the surname WHITE and declaring that she was a spinster, it has been assumed that their certification by Rev. W. SOWERBY stating 'that the stated in the above are correct' was what he believed to be true. SOWERBY's honesty and verification must be assumed due to his position in the community. This then suggested that the surname of the children's mother was more likely to have been WHITE and the surname of their father was probably not WHITE but this can't yet be verified and this assumption may still be found to be incorrect. It remains uncertain whether Mary's maiden name was WHITE, HEALY, SHORT or some other surname entirely. The birth registrations for the three children admitted to Newcastle and the Vernon have been identified. Their births were all registered in Goulburn and the registration years matched the known ages of each of the three siblings. Parents on these three registrations were identified as William and Mary Ann but the surnames of these parents varied with each record. Details from these registrations, while not matching exactly, almost without any doubt refer to the same mother – or to her extended family. It is significant that the registration of the eldest child, Isabella, contains different ages for her parents. This registration must be read in conjunction with details of the siblings from official records, details from their likely birth registrations and the recollections of Isabella's daughter, Clara. Isabella's birth was registered in 1858 as Isabella SHORT. The registration identified that Isabella had been born at Run of Water, Goulburn, on 28 June 1858.16 Confirmation of this date was made by Clara OPENSHAW during the 1970s when she recalled that her mother, Isabella, had been born in Goulburn, on 25 June 1858. It is believed by Isabella's descendants that this birth was registered by Isabella's grandmother, Mary Ann WHITE, nee DONOVAN formerly SHORT, and that it recorded an illegitimate birth for her daughter, Mary Ann. If this is true, and age differences on this record and those of Isabella's sibling suggest that it is, these details were almost certainly made in an attempt to protect the younger woman's reputation and to cover the fact that Isabella was illegitimate. Mary Ann and her recorded husband, William SHORT, were both forty-five so had both been born in about 1813. Mary Ann had been born in London and William had been born in Bristol. The birth transcription erroneously identified that they had married in 1850. This year probably indicated an error in the transcription on the NSW BDM Index17 as the marriage may be found located in the records of St Saviour's, Goulburn, on 10 March 1856.18 Mary Ann (X) SHORT had been married to William (X) WHITE on 10 March 1856, at St Saviour's, Goulburn, by W. SOWERBY. No further information appeared on the marriage registration but the church record identified that William was a bachelor from Brisbane Grove and Mary was a widow from Springfield. She was not referred to as Mary Ann on the church record. The witnesses were Thomas (X) BULL of Brisbane Grove and Catherine CAPEL of Goulburn. Mary Ann SHORT recorded that Isabella had two older sisters who were living and three deceased brothers. This suggested that Mary Ann almost certainly had a mother in the local area and also almost certainly an aunt in NSW. There is no verification yet found of who these women were or where they went. It is only on subsequent birth registrations attributed to Mary and George aka Henry, that the birth details for Isabella's actual mother, also named Mary Ann, were recorded. Parent details are consistent for the birth registrations of Mary and Henry WHITE so these two children appear to be siblings. Henry's mother was Mary Ann SHORT, who was twenty-two and who stated on both records that she had been born in Sydney in about 1838. The 1860 birth registration of Henry WHITE indicated that he was born on 3 July 1860. Henry's father was twenty-nine year old, William WHITE, a labourer, who had been born in England. Henry's registration indicated that he had an older sister. This sister was not identified but was almost certainly Isabella. The transcription for the birth of Mary WHITE on 10 August 1862, identified that her mother was the twenty-three-year-old Mary Anne HEALY. Her father was identified as William WHITE, a labourer, who was thirty and who had been born in Bristol. Mary had an older brother and an older sister. Mary Ann WHITE was living in Mundy Street, Goulburn, when Mary's birth registration was made. Although the surname on Mary's birth registration indicated that her mother was Mary Ann HEALY, there is little doubt that this was the third registration of three of the WHITE siblings. Mary Ann remained in Gladesville until she died on 16 February 1880, at the age of forty-five. The casebook and her death registration indicated that she had been the wife of a labourer and had had four children.22 These matches of Mary Ann's age and the number of her children, the fact that she had been married and her birth location of London support that this registration identified the death of Isabella and Mary's mother. It has been tentatively accepted by her descendants. It is possible that Mary WHITE was sentenced to three months labour in Darlinghurst at the CPO on 14 June 1869, for vagrancy as it is conceivable that she left Goulburn after her children were sent to the industrial schools. This woman stated that she had been born in Ireland in 1840. No ship of arrival or description was included in the Police Gazette23 A Mary WHITE was released from Darlinghurst in January 1870 [PG1870: p.5]. A Mary WHITE alias NOWLAN who had arrived on the Andromeda in 1833 was sentenced to three months in Bathurst Gaol for petty larceny on 31 March 1864, at Carcoar [PG1864: p. 233]. The children's father has not yet been identified. While records do suggest that he was named William, even this is uncertain. No appropriate marriage has been identified and it is possible, because the WHITE children were illegitimate, that their father may already have had a wife preventing a marriage to Mary Ann SHORT. It must also be considered that Mary Ann's mother had died and her step-father had begun a relationship with her. It is possible that any re-marriage for him would be unacceptable. There is, however, no evidence that this was the case. It is believed by Isabella's descendants that the only boy in the family, George, may have been named after his father.24 It was notable that Isabella also named one of her sons George and this given name may suggest another possible avenue of investigation that may uncover identity of her father. Mary Ann's petitions confirmed that by 1868, the father of her children was 'now an insolvent debtor. '25 Insolvency records are still being investigated in an attempt to identify him. The Goulburn papers for this period have not yet been completely scanned so it is likely that further information about a possible identity of the children's father may be made when they become completely available. There is no indication that the following men are or may be connected. A George WHITE was sentenced to take his trial at Braidwood Quarter Sessions on 2 February 1870, and was admitted to trial for perjury to be tried in July.28 A man of this name who been tried at Bathurst Quarter Sessions for forgery on the 16 February 1869, and who had received twelve months, was released from Bathurst around 25 February 1869. He was a labourer born in England in 1836. He was 5’ 6¼” tall with a sallow complexion, dark brown hair and brown eyes. He had arrived on the Croesus in 1850. Isabella was recorded in the Entrance Book as a ten-year-old Protestant who could read the second book and write in a copy book.51 This reading and writing ability was higher than other girls the same age who were admitted to the school. Her mother was able to read and write well as evidenced by her petitions to the Colonial Secretary. This may suggest that a relatively stable family life had existed before her admission to Newcastle. After the deaths of the BENNETTs, Isabella inherited the farm and house in East Maitland – in the area now known as Tenambit.56 Isabella's eldest granddaughter, Marion, a daughter of Sarah, married the son of a nephew of H. H. BENNETT.57 It is believed by Isabella's descendants that, because BENNETT was a lay preacher at St Peter's Church, East Maitland, and the owner of the property Tulloona, G. W. PAINE, was the brother-in-law of Samuel CLIFT who was also a lay preacher at St Peter's Church in East Maitland, this relationship facilitated Isabella being given a situation on the Liverpool Plains where she met CHANTLER.58 Christopher died at his residence, 2 Morpeth Street, East Maitland, in 1937. He was buried in the Church of England Cemetery, East Maitland, on 2 July.59 Isabella died in East Maitland on 28 March 1945. The NSW BDM Index indicated that she was 86 but recorded no parents. Isabella's story is one of the few happy outcomes of admissions to the Newcastle School but it is unknown whether she and her sister were ever reunited or able to maintain a relationship. Patrick CARRICK or GARRICK b. m. 188160 d.
Clifford W. C. I. CARRICK b. 188463 m. d.
Mary was six years old when she was admitted to Newcastle66 At the time of her admission, Mary, recorded as a Protestant, was able to either recite or read the alphabet. There was no comment recorded about her ability to write. 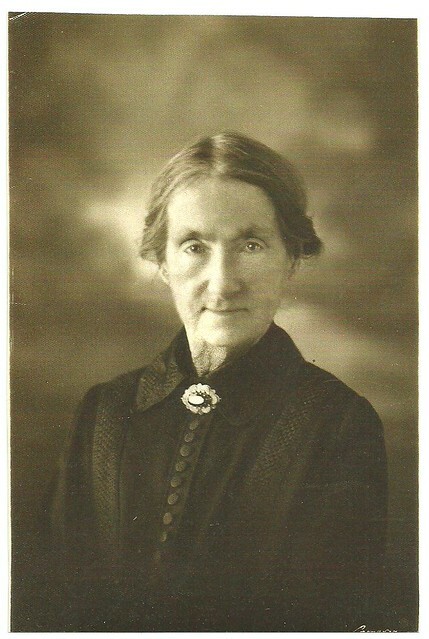 Her birth was registered in Goulburn as Mary WHITE. Her admission age, the NSW birth registration year and her mother’s name on both the registration and in the Entrance Book all agree. Mary was separated from her sister after Isabella's apprenticeship to East Maitland so of the two, only she transferred with the school to Biloela in May 1871. She was recorded by LUCAS in his April 1872 list as 'In the Institution. '67 It isn’t known whether the sisters ever met again after this separation. A representative from the Vernon attended the Campbelltown Court appearances of both children on Saturday, 20 November 1875, where MERRITT was ordered to pay the outstanding wages of the two apprentices and the costs of court.70 The newspaper report for the court case held at Campbelltown has not been found but Mary's statement and the report of the Campbelltown Police were included in the correcpondence regarding her apprenticeship arrangements. JUDSON's complaint was not addressed in the same bundle of correspondence as Mary's but his is probably included in other letters filed under his name that are held in the CSIL. Having been informed that Mary White (13) an apprentice to Mr. Frederick Merrick, of Campbelltown will be returned to the Industrial School at Biloela to-day under an order from the Campbelltown Bench of Magistrates – I beg respectfully that the girl may be apprenticed to me for the remainder of her term. I enclose a recommendation from the Rev. Thomas Kemmis of St. Mark's, in support of my application. No marriage has been confirmed for Mary and no appropriate death has been found for her as Mary WHITE. If she remained in the apprenticeship with GREVILLE, she would have been free to leave and marry in about 1880. There are no Sydney marriages during this time for a girl of this name. It must be considered that Mary married Patrick CARRICK on 20 January 1881, at St Mary's Catholic Church, Sydney, and this marriage has been tentatively attributed to her although it has not been verified even though the registration has been viewed. There are compelling reasons to suggest that this may be Mary and even though the registration doesn't confirm anything that is known of her, it can't be discounted. By this date Mary would have been nineteen. The registration indicated that this Mary WHITE was a machinist, was under the age of 21 and had been born in NSW. Her father was recorded as John WHITE and no mother was named. Patrick was a bachelor who had been born in Ireland. His parents were identified as Patrick CARRICK and Bridget WALSH. Three children – Martin, Clifford and James – were registered in Newtown. Mary was recorded as Mary M. J. at the birth of Clifford, May M. J. at the birth of Martin and Mary W. at the death of James. Martin, living with his parents at Union Street, Macdonaldtown, is almost certainly the boy who broke his arm and was taken to hospital in August 1889 at the age of seven.74 Sands Directory confimed that this boy's father was Patrick CARRICK and the newspapers indicated that, unless Patrick had remarried, Mary was still alive. Patrick CARRICK was at the address until 1889. He has not been traced after that date and was almost certainly not the man living in John Street, Newtown in the next decade. A Patrick CARRICK was the father to twin sons who died in March 1882,90 but no death registrations can be found for these children. Some entries into the Sydney Benevolent Asylum for a woman of this age may indicate appearances of Mary. Mary WHITE aged eighteen entered the asylum on 29 July 1879, and probably left aged 19 on 3 December 1879. This visit was to deliver the illegitimate child, Ethel May WHITE, who was born on 31 October 1879, and who left with her mother on 3 December, aged one month. Ethel May died in Newtown in 1886.92 It is unconfirmed whether this was Mary as the mother on the death registration was recorded as Mary A. and this is a very common name and not known to have ever been used by Mary. All other entries for appropriately aged women are in the 1890s.